Single spigots in 300mm and 450mm square modular sizes. Used to connect Flexible ducting to Mounting boxes and other modular accessories or can be fixed directly to walls. Manufactured in flame retardant high impact thermoplastic. Single spigots in 300mm and 450mm square modular sizes. 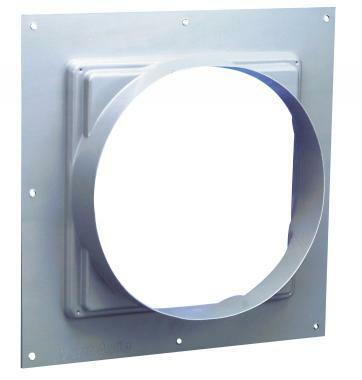 Used to connect Flexible ducting to Mounting boxes and other modular accessories or can be fixed directly to walls. Manufactured in flame retardant high impact thermoplastic.